Survivors of pediatric cancer face nine times the normal risk for developing a sarcoma at least five years after treatment for the initial cancer, a new study reveals. The risk for developing sarcoma -- a cancer of the connective or supportive tissue -- is particularly elevated among patients with a family history of cancer or whose primary childhood bout was a form of sarcoma, a bone tumor or Hodgkin lymphoma, the researchers found. The use of radiation and certain kinds of chemotherapy drugs was also associated with higher sarcoma risk. Continue reading Childhood Cancer Survivors Face Increased Sarcoma Risk. GlaxoSmithKline Plc is preparing for a "renaissance" of its oncology business, led by Tykerb, a novel pill that is expected to win U.S. regulatory approval for breast cancer next month. Oncology head Paolo Paoletti said Monday's launch of a Phase III study in head and neck cancer underlined Tykerb's potential in more tumor types, while four additional cancer medicines could win a marketing green light by 2010. "We have five drugs that can be approved in the next few years," Paoletti said in an interview. "If you compare that with the leaders in the field, Roche and Novartis, they have each had four drugs approved in 10 years. Continue reading Glaxo set for big push into cancer medicine. Self healing does occur for people with cancer. It doesn’t yet happen as often as it does with the cold or with the flu, but it can. Remember that the same flu which kills an elderly person may be shaken off and healed in a younger person. Cancer is very different than the flu, but numerous cases exist of cancer being shaken off in the same way. There are a number of practices that can be quickly and easily instituted into your life which will help to increase you capacity for self healing of any disease, and in particular cancer. The concepts of self-healing are both accepted and rejected by the Western medical establishment. This means that they accept it in some cases, such as the common cold or the flu but don’t accept it in other cases, like cancer. Continue reading Secrets of Self-Healing Cancer - press release. Asbestos, already generally accepted as a cause of a number of respiratory ailments including lung cancer, may also be a source for laryngeal cancer, the U.S. government's Institute of Medicine says. The Associated Press reports that a series of studies have found that certain cancers of the throat and lungs are similar, so the U.S. Senate asked the institute to investigate a potential link between asbestos and other upper-body cancers. Continue reading Cancer of the larynx linked to asbestos exposure. I invite you to explore Sylicon Valle Moms Blog. Not only these women describe what's happening in their lives as many other people do nowdays, SV moms are touching some sensitive and important topics, such as how to deal with the tragic news like having a cancer. Read the article - It Happens. It's true that it's tough to talk about cancer, but it happens. Sharing the experience is important. So, give this article a read. Six schools in the Halifax area have had higher levels of potentially harmful radon gas than the new, stricter limits Health Canada is considering. The schools, among 14 tested in the province for radon gas in 2004, exceeded the proposed advisable limit of 200 becquerels per cubic metre but fell within the current federal guideline of 800, provincial records indicate. They were: Atlantic Memorial Consolidated in Shad Bay, East St. Margaret’s Elementary in Indian Harbour, Five Bridges Junior High (the former Sir John A. Macdonald High) in Hubley, St. Margaret’s Bay Elementary in Head of St. Margarets Bay, Terence Bay School and William King Elementary in Herring Cove. Continue reading Six schools exceed proposed radon limits. Science Daily — There is an urgent reason to study stem cells: stem cells are at the heart of some, if not all, cancers. Mounting evidence implicates a clutch of rogue stem cells brandishing ‘epigenetic’ marks as the main culprits in cancer. Wiping out tumours for good, some biologists believe, depends on uprooting these wayward stem cells. Continue reading Cancer Is A Stem Cell Issue. AstraZeneca and the American Cancer Society has announced a strategic collaboration to significantly extend the reach of the Society's innovative Patient Navigator Program" an initiative to assist individual cancer patients in negotiating the health care system. With major support from AstraZeneca, the American Cancer Society will accelerate development of at least 50 new Patient Navigator Program sites over the next five years in communities throughout the United States. The first three sites to launch are Seattle Cancer Care Alliance in Seattle, Washington; Helen F. Graham Cancer Center at Christiana Care in Wilmington, Delaware; and, John H. Stroger Jr. Hospital of Cook County in Chicago, Illinois. The American Cancer Society Patient Navigator Program provides individualized personal guidance for cancer patients, survivors, and caregivers to help them navigate the cancer experience. The Society's initiative places an emphasis on assisting the medically underserved. As part of its ongoing organizational commitment to patient health, AstraZeneca has pledged USD$10 million to help fund the Society's Patient Navigator Program operations, as well the time of its local employees and other resources to support the program. Continue reading Cancer Patients Nationwide Can More Easily Navigate Health Care System. A new breath test has been reported to detect lung cancer in its early stage. Lung cancer is the leading cause of cancer death in the United States, and doctors believe that early detection could offer sufferers their best chance for early survival. Dr. Michael Phillips, CEO of Menssana Research, the company that developed the breath test, said, "We developed a breathalyzer that is one billion times more sensitive than those the police use to measure alcohol in the breath. It detects around 200 different chemicals in a person's breath, and some of these chemicals are markers of cancer. A breath test has great advantages over most other medical tests - it is completely safe, painless and non-invasive. All you have to do is breathe gently into a tube for two minutes. There are no potentially dangerous x-rays to worry about, and it will certainly be a lot less expensive than chest imaging." Continue reading Breath test to detect lung cancer. The research was led by Dr. Lawrence Loeb, professor of pathology and biochemistry at the University of Washington School of Medicine in Seattle. Loeb presented his research Feb. 18 at the meeting of the American Association for the Advancement of Science in San Francisco. Continue reading Cancer cells more likely to genetically mutate. AUSTRALIAN researchers have discovered a new way that cancer can be passed down from parents to children that will allow them to diagnose the disease earlier. Previously researchers believed young cancer sufferers inherited a parent's gene mutation. However doctors were at a loss to explain why tests showed no sign of genetic mutation in some people with cancer. Now researchers from St Vincent's Hospital in Sydney and the University of New South Wales have discovered that a chemical which paralyses part of the body's DNA can also be passed down from parents to children and cause cancer. Continue reading Breakthrough in early cancer diagnosis. Science Daily — Cancer cells are sick, but they keep growing because they don't react to internal signals urging them to die. Now researchers at Washington University School of Medicine in St. Louis have found an efficient way to get a messenger into cancer cells that forces them to respond to death signals. And they did it using one of the most sinister pathogens around — HIV. Continue reading New Weapon Against Cancer: HIV Protein Enlisted To Help Kill Cancer Cells. American cigarette warning labels might be more effective if they were big and graphic -- like those in some other countries, according to a new study. The news appears in the March issue of the American Journal of Preventive Medicine. In the study, researchers surveyed nearly 15,000 adult smokers in the U.S., U.K., Canada, and Australia to test the effectiveness of the warning labels used in those four countries. The surveys were conducted between 2002 and 2005. 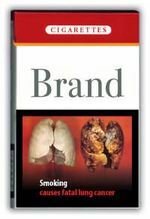 Continue reading Supersize Cigarette Warning Label?. Newswise — In the past couple of years, researchers at Oncolytics Biotech have been developing a harmless virus as a potent cancer killer, but they have also been accumulating data that suggests in addition to directly killing tumor cells, the reovirus may prime the immune system to mount a separate, powerful and long lasting defence against cancer. Evidence for this theory has been mounting for the past year. On January 10, 2007, Dr. Sheila Fraser of St. James' University Hospital in Leeds, U.K. delivered a paper at the Society of Academic & Research Surgery Conference in Cambridge, U.K., in which she described a test tube experiment further supporting this claim. Fraser’s presentation, titled “Reovirus as a Potentially Immunogenic as well as Cytotoxic Therapy for Metastatic Colorectal Cancer,” reported how cells taken from a colorectal cancer liver metastases were more susceptible to death many weeks after treatment with reovirus, and long after the virus had cleared the patient’s system. These cells, when cultured in the laboratory, also appeared to be vulnerable to re-infection with reovirus. Moreover, Dr. Fraser noted that dendritic cells, which prime the immune system against cancer, were activated by exposure to the reovirus. Continue reading Multi-Tasking Reovirus: Kills Cancer Cells and Primes Immune System To Do The Same. Diagnosed cases of cancer rose by 10 percent in Europe over two years, an increase attributable to the continent's ageing population, the effects of smoking and better screening for breast cancer, doctors reported. In 2006, there were 3.2 million new cases of cancer in 39 European countries, compared with 2.9 million in 2004, they said. For the first time, breast cancer overtook lung cancer as the commonest diagnosed cancer, with 429,000 new cases in 2006, or nearly one in seven of the total. Continue reading European cancer cases rise 10 percent in two years. Raising vitamin D levels by taking supplements and absorbing a little bit of sunshine each day may help prevent colorectal and breast cancers, said two studies. A high blood level of vitamin D could help reduce the risk of breast cancer by half and of colorectal cancer by two-thirds, the studies found. Vitamin D is a fat soluble vitamin that is found in food and is made in the body because sunlight's UV rays trigger vitamin D synthesis in the skin. US health authorities have not established a recommended daily allowance for the vitamin due to insufficient scientific evidence. Continue reading Vitamin D may reduce colorectal, breast cancer risks. Her carefully cultured cells were dead and Katherine Schaefer was annoyed, but just a few minutes later, the researcher realized she had stumbled onto a potential new cancer treatment. Schaefer and colleagues at the University of Rochester Medical Center in New York believe they have discovered a new way to attack tumors that have learned how to evade existing drugs. Tests in mice suggest the compound helps break down the cell walls of tumors, almost like destroying a tumor cell's "skeleton." The researchers will test the new compound for safety and hope they can develop it to treat cancers such as colon cancer, esophageal cancer, liver and skin cancers. Continue reading Lab disaster may lead to new cancer drug. Iowa City, Ia. - Kara Meiborg told her 2-year-old son, Max, that they were going to a party in his honor. The Cedar Rapids boy, whose hair is sparse and downy from chemotherapy, paraded in front of more than 1,000 college students, all cheering and clapping as the Meiborg family's name was read on a loudspeaker, along with the names of dozens of other families battling cancer. "They loved it," Kara Meiborg said of her sons, Max, and Ozzie, 4. "They thought it was great." Continue reading University of Iowa Dance Marathon raises $880,903 for cancer. A promising drug for fighting cancer is found. It has already been proven relatively safe. Laboratory and animal tests have shown it kills cancer cells and shrinks tumors. You would think the drug companies would fall all over themselves to do the clinical trials necessary for the drug to be prescribed to cancer patients. Right? This may be the biggest scandal to hit the medical world in years. Yet so far, all the commercial U.S. media have stayed away from reporting on it. Continue reading The real cancer. Scientists in the US claim to have discovered a small group of cells in pancreatic cancer that are capable of fuelling tumour growth. The research at the University of Michigan Comprehensive Cancer Centre (UMCCC) appears to be the first to successfully identify stem cells in pancreatic tumours. Cancer stem cells are crucial to a tumour's development and it is hoped that successfully identifying them will lead to more effective treatment. Pancreatic cancer has one of the worst survival rates among cancer types, making a potential breakthrough in this area all the more significant. Continue reading Scientists identify cancer stem cells. The Greek health ministry has moved to curb what it called "ridiculous behaviour" following reports that a wonder-cure for cancer had been found in olive leaf extract. "No systematic clinical study exists ... to prove the usefulness of olive leaf or fruit extract (against cancer)," the ministry said in a statement, warning patients against straying from their prescribed medication. The statement came after several TV chat shows last week hosted self-styled therapists claiming that olive leaves mixed in water had curative properties against the illness. Continue reading Greek health ministry rejects olive cancer cure.